Users can avail the new cheque books via internet and mobile banking, ATM or by visiting the home branch. Old Indian Financial System codes of the associate bank branches will also be invalid, said SBI. From October 1 onwards, customers of SBI savings account will also pay lower charges for not maintaining minimum average balance. SBI has also removed charges for account closure in some cases. 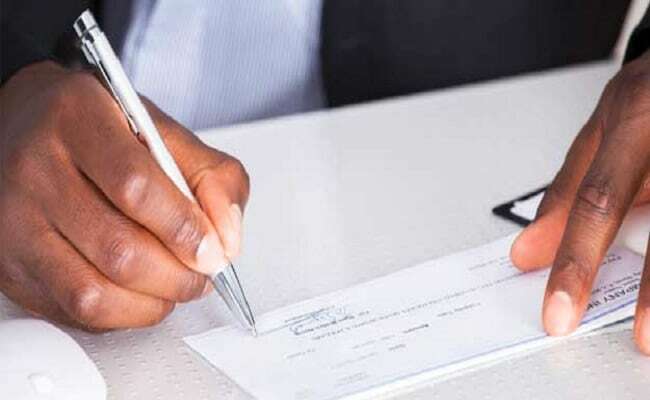 Savings accounts closed on settlement of deceased depositors, will also be exempt from charges with effect from October 1. SBI had levied a charge of Rs 500 plus GST earlier. Earlier, if you closed a savings account in SBI after one year of opening it, it used to attract a charge of Rs. 500 plus GST. But from October 1, there will be nil charges for this service, SBI said. SBI also reduced the monthly average balance requirement for metro cities - from Rs. 5,000 to Rs. 3,000 - and slashed charges for non-maintenance of minimum balance by up to 50 per cent effective today. SBI further said that savings accounts of pensioners, beneficiaries of social benefits from the government and the accounts of minors will be exempt from maintaining monthly average balance from today.